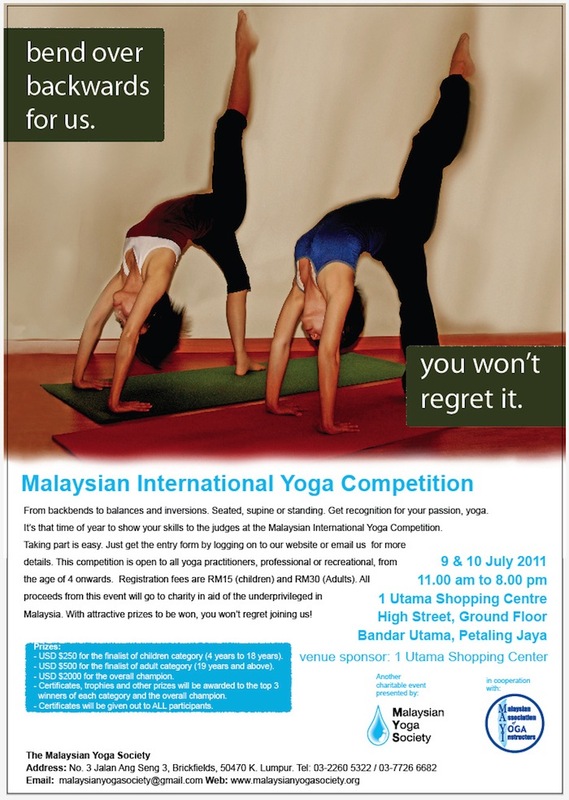 Malaysian Yoga Society has organized a competition which is open to all yoga practioners age 4 upwards. The Top Prize is US$2000 and certificates will be given to all participants. sorry i’m from iran and i like to participate this championship, Can I ??? and if yes, can u send me the asana syllabus please !!! and can u Explain more about this championship ??? this is vivek from india will come 2 competition what will be the entrance fees for an adult. 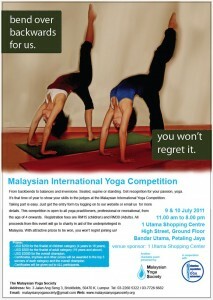 Just wanna comfirm is it the yoga competition is carry on on 9 & 10 July as usual. I am wonder the Perhimpunan Bersih will disturb. I and a few friends wanna join the competition and we going to book the hotel but my KL friend suggest us not to be in KL on that time. Can u give us some opinion. Thank u.